New York University Press, 9781479882083, 320pp. The story of a new style of art--and a new way of life--in postwar America: confessionalism. What do midcentury "confessional" poets have in common with today's reality TV stars? They share an inexplicable urge to make their lives an open book, and also a sense that this book can never be finished. Christopher Grobe argues that, in postwar America, artists like these forged a new way of being in the world. Identity became a kind of work--always ongoing, never complete--to be performed on the public stage. The Art of Confession tells the history of this cultural shift and of the movement it created in American art: confessionalism. Like realism or romanticism, confessionalism began in one art form, but soon pervaded them all: poetry and comedy in the 1950s and '60s, performance art in the '70s, theater in the '80s, television in the '90s, and online video and social media in the 2000s. Everywhere confessionalism went, it stood against autobiography, the art of the closed book. Instead of just publishing, these artists performed--with, around, and against the text of their lives. 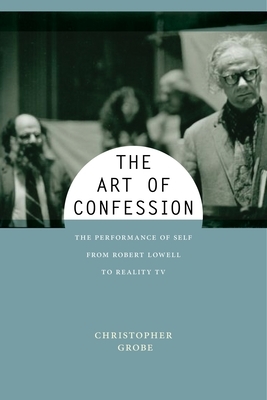 A blend of cultural history, literary criticism, and performance theory, The Art of Confession explores iconic works of art and draws surprising connections among artists who may seem far apart, but who were influenced directly by one another. Studying extraordinary art alongside ordinary experiences of self-betrayal and -revelation, Christopher Grobe argues that a tradition of "confessional performance" unites poets with comedians, performance artists with social media users, reality TV stars with actors--and all of them with us. There is art, this book shows, in our most artless acts.